What is Digium IP Phones? Extend your Switchvox system to your desk phone with the Digium phones. Customize your complete communications experience whether you’re in the office or on the road. Digium’s Asterisk software and Digium phones built exclusively for Asterisk allow you to customize your end-to-end solution.  See why no other business phone can truly extend Asterisk to the desk phone. Why use Digium IP Phones? Global Support and Localization - Digium IP phones support multiple languages and locales including English, Spanish, French, Italian, Dutch, German and Portuguese for communications around the world. Easiest Install Ever - Digium has delivered phones that simplify the most time-consuming portion of a system deployment—installation and provisioning. These phones automatically locate the server and assign the correct users, making our deployments faster than ever before. Additionally, the tight integration with Switchvox offers our customers an awesome user experience that’s just not possible with other phones."